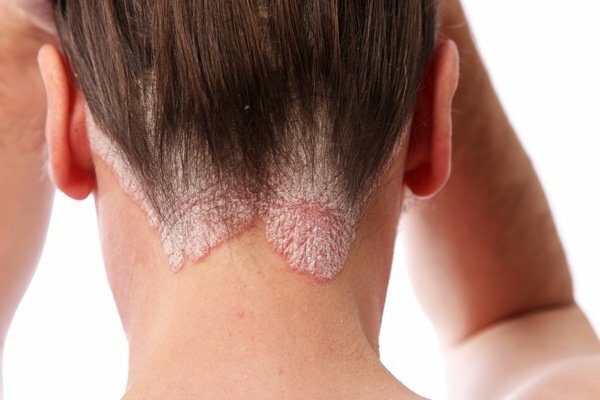 Seborrheic psoriasis is a type of skin condition that affects the scalp. This is a very common form of psoriasis. In fact, the scalp is one of the affected areas with as many as half of those diagnosed. The scalp can sometimes be the first area of the body to be affected by psoriasis. When it begins, it may have the appearance of inflamed flaky spots. More severe cases of scalp psoriasis will have thick sections of plaques. It may then move to the forehead and ears. Unfortunately, hair loss may occur with this form of psoriasis. There are many treatments that can specifically be used to help treat psoriasis that is found on the scalp. Some of the same medications can be used to treat the scalp as well. Below are some common treatments for this type of psoriasis. One treatment is the use of exfoliating scrubs. There are two types of scrubs that exfoliate the skin. One type is mechanical and works by using scrubbing agents such as beads. The other is a chemical exfoliating scrub which consists of an active agent such as salicylic acid or fruit enzymes. The use of a chemical exfoliating scrub can help to remove dead skin from the affected area. This can greatly reduce the redness and itchiness linked to scalp psoriasis. Consulting a doctor prior to using a chemical scrub is a must. Another treatment that specifically works to reduce seborrheic psoriasis is washing the scalp and hair with an anti-dandruff shampoo. This type of shampoo contains active ingredients which can help reduce some of the symptoms of psoriasis. Itchiness and flakiness are greatly reduced by using this treatment. Anti-dandruff shampoos containing menthol especially help to reduce psoriasis flareups. Another similar type of product is T/gel. This product contains coal tar as well as menthol. There is a large difference in price. Talk with your doctor about which one may work best with Seborrheic Psoriasis. After diagnosing you with psoriasis, your doctor will determine the first course of treatment. Typically the first treatments that are tried are topical medications. This is because they are the least invasive treatment, compared to phototherapy and systemic treatments. These medications are generally used for the treatment of psoriasis on your body. One great topical medication contains coal tar. They can also be used for treating psoriasis of the scalp. However, these medications come in the form of thick creams which can be very messy for the hair. You can find the same active ingredients in a liquid, foam or shampoo version. Psoriasis commonly begins on the scalp. This type of psoriasis can cause embarrassment and can affect other parts of the body as well. It is best to see a doctor if you feel that you are developing psoriasis of the scalp. A doctor can help you decide which type of medication to try. There are specific medications and shampoos that can help to alleviate some of the symptoms. Although typical psoriasis medications can also be used, you may need to use an alternative form. Always consult with a doctor prior to taking any medication for psoriasis.